I’ve been publishing blogs, videos, and content online now for 6+ years however I’ve never gone into detail of how I got to where I am and why Parallel Coaching even exists! Let’s rewind to when I left University. I wasn’t sure what career I wanted but I did know what I wanted my career to look or feel like. I wanted to do something I was passionate about, I especially wanted to do something that helped others and knew I didn’t want to be stuck in an office. At this time, I was obsessed with the gym and so… I enrolled on a fitness instructor course and thought I’d pursue a career in fitness as this ticked all the boxes to how I wanted to feel! As I immersed in my course as a trainee gym instructor back in the early 2000s I really wanted to be confident in my knowledge and pass first time so I wouldn’t have to miss out on a great job offer in a local health club. I really wanted to be able to grasp complex topics from the course and be confident with it! and I could start my new career. The thing is I was finding it tough to balance life, I had 3 part-time jobs and felt like I didn’t know how to learn properly. That meant I couldn’t dedicate time, really grasp complex topics and be confident! … let alone start my new career. To make things worse, I had used up most of our savings on this fitness course and promised family this would work. I felt like I had a lot of pressure on me to pass, I felt sick and feared failing altogether. Deep down I thought I was failing, that I’d be the only one in my class not to pass, what would other people think of me — I was scared of being a failure. The problem was that I had little to no support from my training provider and all I really had was the manual to learn from. I didn’t know what to learn first, what I was meant to know from this vast manual nor what would be important upon passing! Which meant if I didn’t pass the first time, perhaps a career in fitness wasn’t for me. I’d ask questions like “am I good enough?” and “can I really do this?”, which meant my dreams were squashed forever. That’s when I found a short online course that taught me how to learn and revise effectively. It had nothing to do with fitness however it was all about how to learn effectively, retain knowledge and be ready for an exam! Although I had to pay out more for this short course, I couldn’t have passed without it! This short learning course NOW made it crystal clear to me how to learn, how to break down complex topics into small manageable chunks and structure my learning in a simple way. I quickly returned to my fitness instructor course and started applying what I’d learned from the short online course. I also realised that I was able to learn and retain knowledge even though I thought I was rubbish at learning. The key was… I needed extra help! As a result of reaching out, this short online course taught me quickly how to learn and revise for my fitness exams. After I did that, I started to learn EVERYTHING in my fitness course quickly and with ease. Suddenly, I was learning quicker than ever and my self-confidence shot up. For the first time, I could see myself as a fitness professional, fully qualified and helping others. That’s when I realized that the secret to studying and passing my fitness exams was asking for help and realising what I was currently doing was not effective for me. My plan was to start helping other fitness professionals that also struggle to learn and understand their course. So, once I qualified as a personal trainer, I set out to create some credibility and soon progressed towards teaching within the fitness industry. I wanted to help others that also struggled with their fitness exams so they could also become qualified and make their passion their profession too. So, I started working for REPs — the register of exercise professionals as their endorsement officer and helped manage all the fitness CPD courses across all training providers… in the hope, I could influence how learners were being supported on their fitness courses. 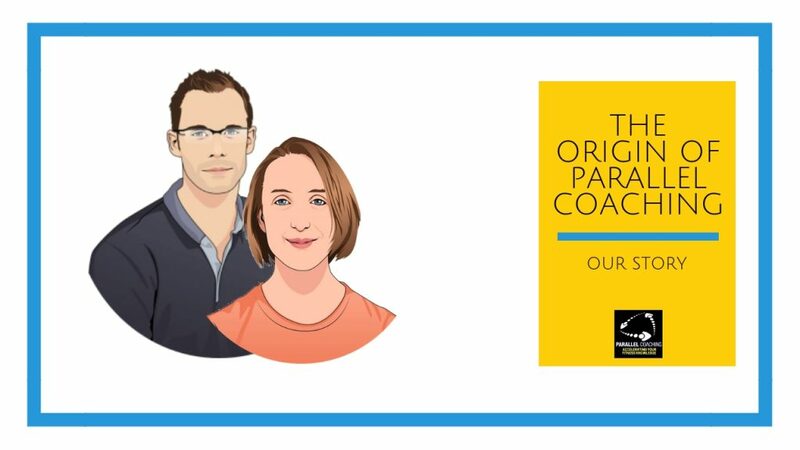 I then created Parallel Coaching back in 2012 — I set up my own training provider as to date I was unable to really support and help learners. Parallel Coaching help, guide and support fitness professionals to qualify and pass their course with confidence. More importantly, provide the MUCH-needed support to learners who are not getting it from their current training provider. The content was 99% on point however the online area was clunky and tough to navigate and find. After all, we were fit pros and not internet website gurus. We had created something that helped yet still found learners struggling and overwhelmed. We ended up getting so frustrated that we decided to launch an entirely new platform that was easy to use and made learning and revision accessible to EVERYONE. We chose to call it “the Revision Mastery Bootcamp”. We thought if we could create something that would make it possible to learn everything you need to know about your fitness course exams organised in one place, we’d be really happy. After months of programming and every penny we had; 2 months of 18 hour days testing and tweaking every single aspect of what it takes to compress all major fitness course exams into an online format, we finally created the Revision Mastery Bootcamp. I can now say there are 7 short online fitness revision courses that give you everything you MUST know to pass all your fitness exams, all organised in one simple to use academy. With feature-length video tutorials, cheat sheets, passing secrets, instant learning hacks, and unlimited student support. Within just 6 years, over 7200 learners have use Parallel Coaching to power their learning and revision. In fact, to date, 98% of learners pass the fitness exams first time using the Revision Mastery Bootcamp. I’ve also been able to stop learners feeling like I did throughout my journey. And in the end, all of this means I learned the value of being persistent, especially in the face of adversity. To keep pushing forward and that it’s OK to reach out for help!